This is what I call my “Rotating Calendar & Announcements”. I play it whenever I don’t have something else on my big screen. It’s a Google Slides presentation set to auto play a new slide every 60 seconds on a loop. 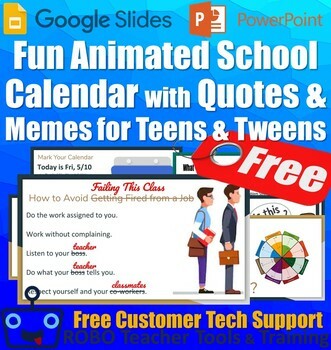 It currently has 27 slides. I am giving you a link that creates an editable copy of my current live document.